How successful is your corporate branding strategy? To find out, look no further than the “New vs. Returning” statistic in your website’s analytics software. On average, return visits account for about 25-50 percent of a website’s total traffic. Does that figure surprise you? If your website’s engagement statistics such as the bounce rate and average session duration are strong, your content is probably excellent. If you have a low number of return visitors, though, few people remember your website after they leave. Strong branding on your website helps users remember your company’s name and encourages repeat visits. Branding leads to customer loyalty and loyal buyers can aid significantly in the acquisition of new customers. Are you ready to learn how to build a brand online? It all begins with the website’s design. If your website doesn’t have a prominent and memorable logo, you’ve missed an important opportunity for developing your brand. Design a logo that expresses your company’s values. Use a colour combination that best expresses the emotions that you want your company to convey. Most importantly, don’t just use the logo on your website, develop a comprehensive corporate branding strategy in which you use the logo on your promotional items, on social media and in your advertisements. Remember that you may have to get your logo in front of a potential customer many times before it reaches their own top of mind. TIP: Most Internet users expect to see a company’s logo in the upper left corner of the website. When developing your corporate branding strategy, choose a colour palette that represents your brand’s ideals or expresses specific emotions. Colour has the power to increase brand recognition by up to 80 percent, so colour selection is one of the most important components of branding and identity design. Once you’ve selected your colour palette, use it consistently across your website. If you aren’t sure which colours to choose, think about the feelings that colours typically convey. You can use a combination of colours to express multiple ideas. The red and yellow McDonald’s colour scheme, for example, conveys feelings of excitement and optimism. The blue and orange VISA logo expresses sentiments of youthfulness and trust. To reinforce the identity of your brand, select a font (or combination of fonts) and use consistently within your website’s navigation and body text. Apple, for example, uses the San Francisco font on its website as well as in all of its operating systems. Apple created the font in house, which means that Apple owns it and controls its usage. Apple allows its developers to use the font, creating consistent branding across all of the company’s products. When designing your website, it’s natural that you would want to draw attention to as much of the website’s best content as possible. You might like to show casual website visitors your most popular products, for example, or direct them to your most recent blog posts. Every additional icon or link that you add to a page can distract from the branding. To maximize the brand impact of your website, strip away non-essential links and icons. Consider moving social media buttons to the footer. A great tagline can serve a variety of purposes from humanizing your brand to summarizing the benefits that your customers can expect to receive. Can you name the brands behind any of these well-known taglines? Creating the perfect tagline is an important part of developing your brand, so don’t neglect it. You can develop a tagline that expresses your company’s values, or you can use humour to give your company a bit of personality. You can use your tagline to reassure a website visitor that he or she is in exactly the right place. With this article, we have armed you with all of the information that you need to build a strong brand identity online. As you design your website, remain mindful of the importance of branding. 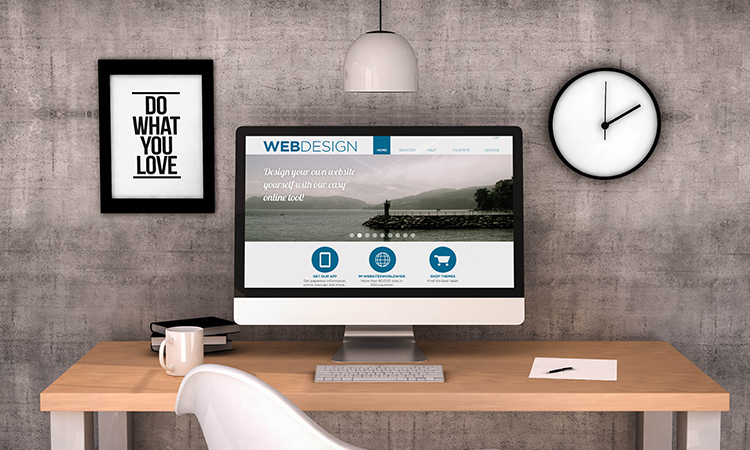 Focus on your brand in all aspects of your website’s design to encourage repeat business and solidify your company’s identity. Riya is an inspired writer, passionate about travelling, lifestyle and encouraging startups. She understands the importance of productivity at work and never stopped finding new ways to create her work productivity.